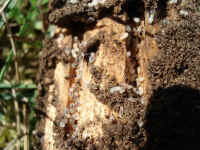 Click here for Carpenter Ants. These are pictures of ants. 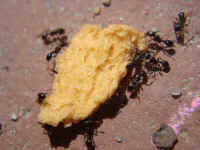 Compare your ants to these ant photos below. Click on the photo to see the large high quality ant pictures. Pavement Ants. This is why some people call them "Picnic Ants". These ants like our food. 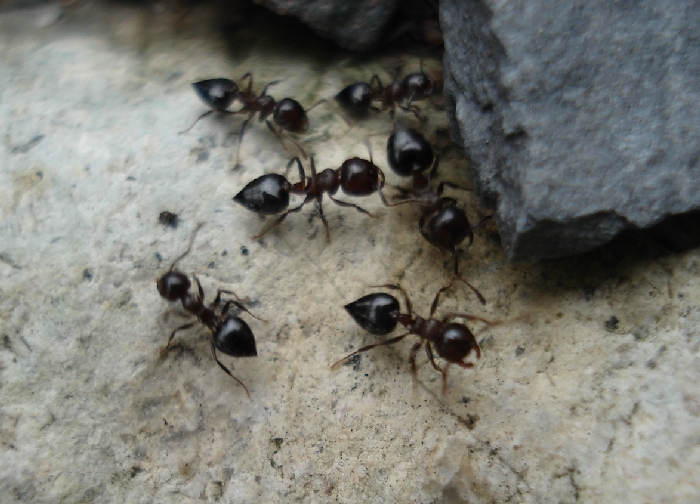 Pavement Ants are extremely common and are likely to be a pest in your home. 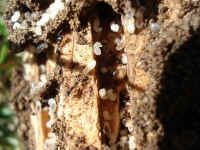 They may not do any damage but can infest inside the walls. 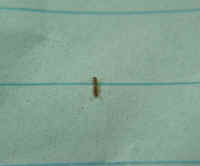 Pharaoh's Ant on lined paper. 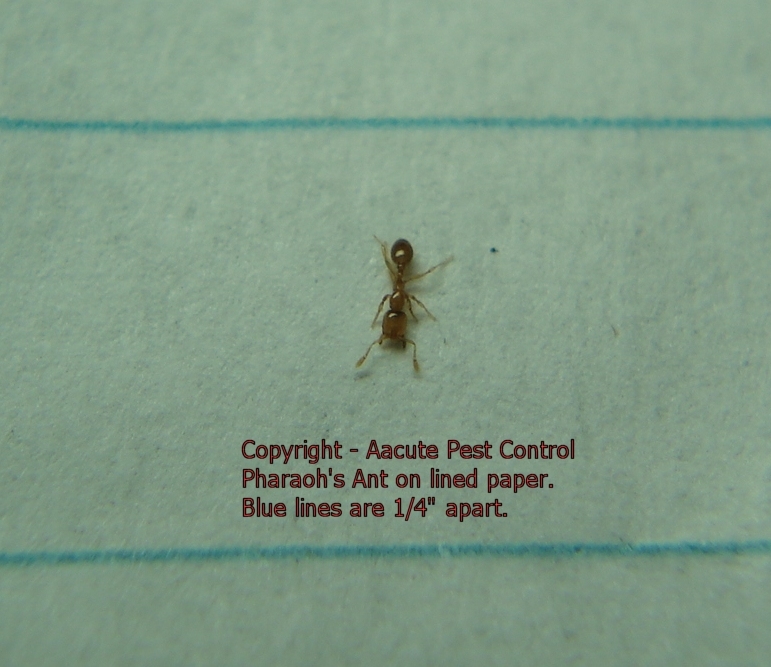 Note: the lines are 1/4" or 7mm apart - that's a tiny ant. 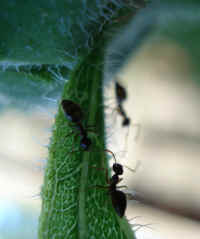 Ants find food on plants. Ants live in colonies an therefore if you are seeing these ants in your home you may need an Inspection to see if the problem is worse than you think. Back to the Ants Page.